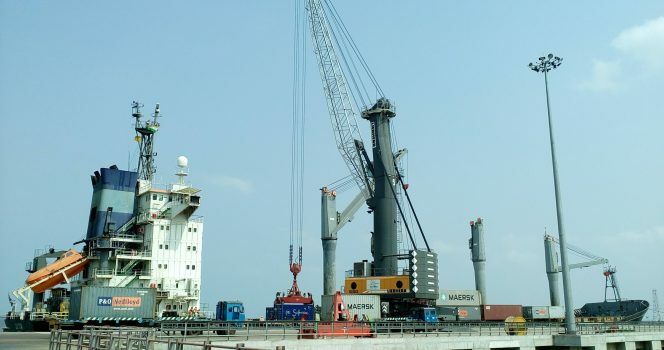 Kakinada Container Terminal (KCT) is an all-weather container terminal, in the Kakinada Deep Water Port started its operations since 2015, Shipped to West Africa , South Africa , Arabian Emirates and US via Colombo Direct service to Yangon, Al Sokhna & Egypt. With products like rice, sugar, Shrimp, machinery, paper, chemicals, ceramics originating or required in the region can now avail the advantages of containerization closer to their doorstep. 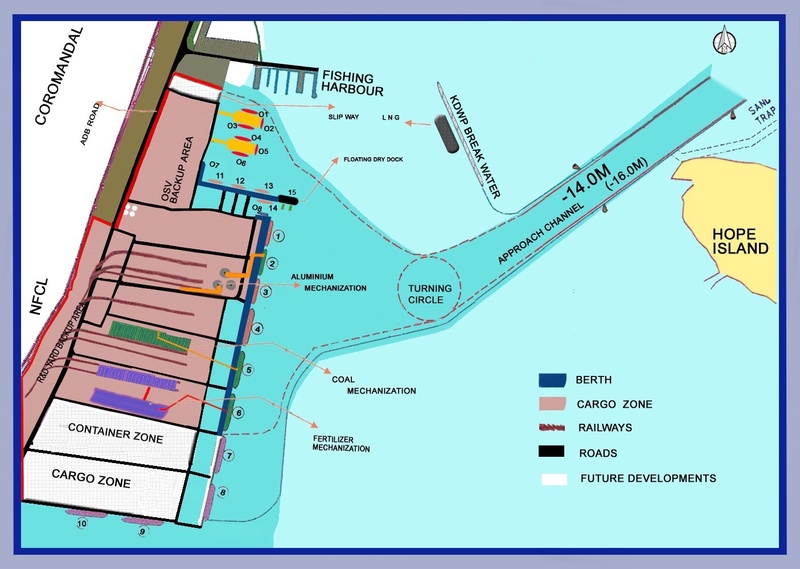 The KCT has dedicated container traffic facility at multipurpose Berth no 7 at KDWP compatible for panamax size vessels round the clock services. Efficient Leibherr mobile harbor Cranes with Bromma Spreaders, paved container yard with reach stackers and trailers and Reefer Plug Points are in operation. These are complemented by an efficient Terminal Operating Software System and a set of trained and experienced personnel offering competent world class services. The container terminal deals with cargo potential of Rice, Sugar, Aqua, Paper, Ceramics, Vegetable oil, Granite, Frozen Shrimp & Machinery.